Lean production process can only be achieved if the performance of the workers involved are at its highest level. Lean managers, however, must not forget that organizational performance always comes down to the behavior of the workers, which are always determined, by competence and motivation. Workers must possess competence in both technical and social skills. We cannot expect a highly competent technical person to achieve great results if he does not know how to deal with fellow workers. All his talents will be wasted once animosity in the workplace starts to rear its ugly head. Therefore, Lean managers are also tasked to motivate their employees in order for them to internalize the organizational goals and the individual goals of each work unit. The job of management requires optimizing all of the available sources of motivation to encourage those behaviors that contribute to the success of your business organization. 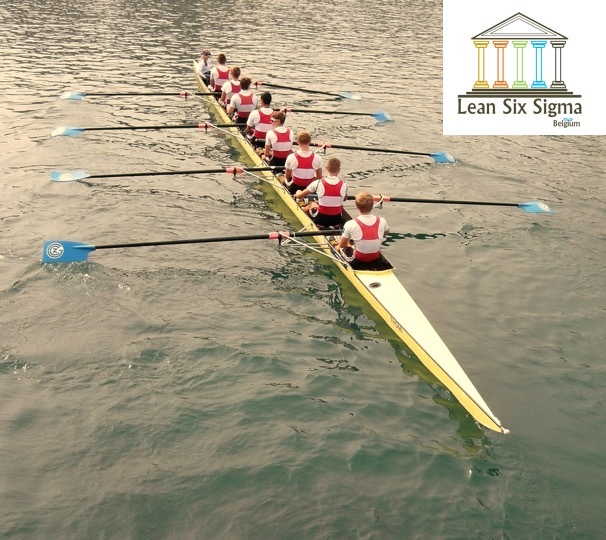 The following 7 techniques are used by Lean managers to build a motivational culture in the organization. After you’ve read them all, you will be able to answer that question : Is Al Pacino a Lean Coach ? It is basic human nature that an individual needs personal recognition. This recognition is over and above the recognition that management might bestow on a group of workers working as a team. While group recognition is also important, as it will boost the morale of a team, an individual, personal recognition will have a great impact on the worker who was singled out for his great individual performance. This will encourage him to be a better contributor to his group, and to the organization as a whole. Management must create among workers the feeling that they achieve something, both individually and collectively. Recognition must be given for both individual and group achievement. Management must make sure that workers feel that sense of achievement whenever a goal has been reached or when new innovations have been effected. Show team achievemnts during stand-ups meeting in the morning. Learning and growing within an organization is a continuous process. It does not end when a worker has mastered the necessary skills of his job. Management must give workers opportunities to learn new skills to enable them to move to different level, possibly a higher one, within the organization. Further education and training opportunities must be made available to workers who have ambition to grow in the organizational hierarchy. Try to organize small training sessions where people share field experience and tips. Management must create a work environment that will be stimulating to the workers. Continous improvement culture must stimulate workers to solve small problems, to spot waste, to collaborate and feel responsible for all the achievements of the organization and for the clients. Workers are given their individual and collective responsibilities as an individual worker and as a member of the team. Together with the responsibility given comes the empowerment of the same. Workers must be empowered, or given the authority, to carry out their responsibilities. A higher position with the corresponding higher pay is one of the greatest motivators for the workers. When a worker who has achieved so much, as an individual workers and as a member of a team, is given a higher position in the organization, coupled with the corresponding salary raise, he will be encouraged even more to put his best in whatever he does in the organizational. A worker must never feel that is just one of the many nameless and faceless workers in the organization. He must be given recognition as a contributor to the achievements of the organization. Every single worker must feel that he is part of something important in the organization. He must feel that he is an important cog in the organizational machine. A highly motivated work environment is not an accident. It is always the result of systematic and concerted efforts of management to improve and create a system of motivators. It is a holistic approach to motivating workers. So, is Al Pacino a Lean Coach ?